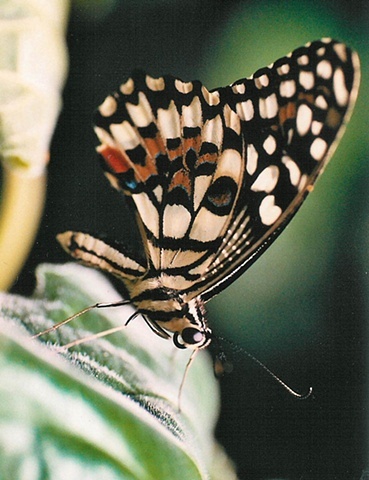 While in Dunedin New Zealand in 2007, I had the pleasure of going to the butterfly house, where 3000 butterflies were flying around our heads. This is one of them. No color enhancements were added to this image. I used my Canon T-70 SLR, Fuji 400 speed film, natural light, and a Kiron Macro lens.